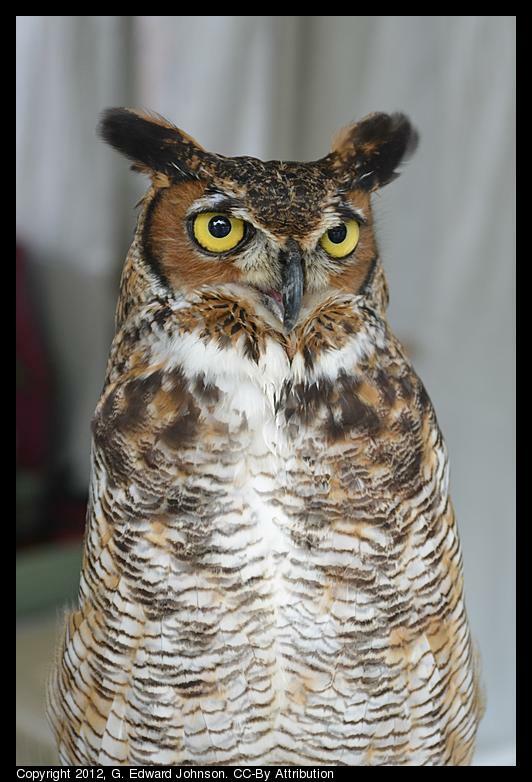 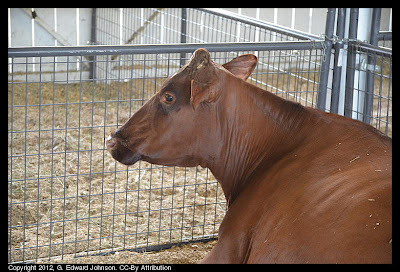 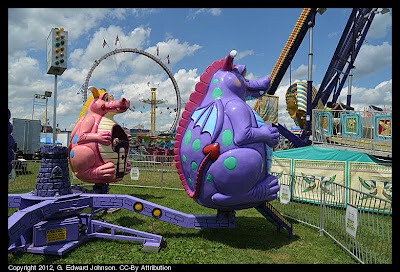 Here are some more pictures I took at the Montgomery County Fair (which runs through Saturday). I posted other pictures and more information yesterday. First, a video of one of the pig races. 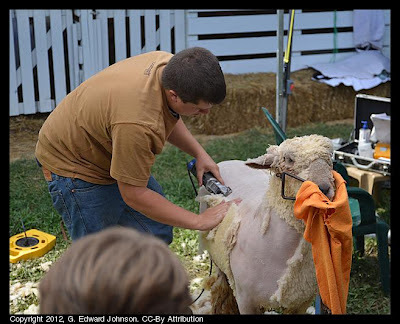 Before being judged, most sheep get a very close hair cut. Small animals get their place too. 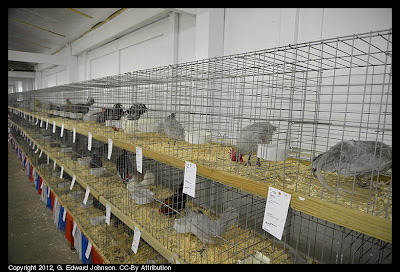 Here are the chickens. 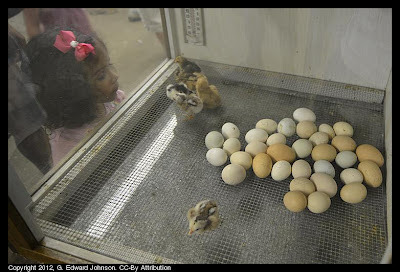 They also have an incubator full of eggs, some of the chicks have already hatched, but the rest will over the course of the week. 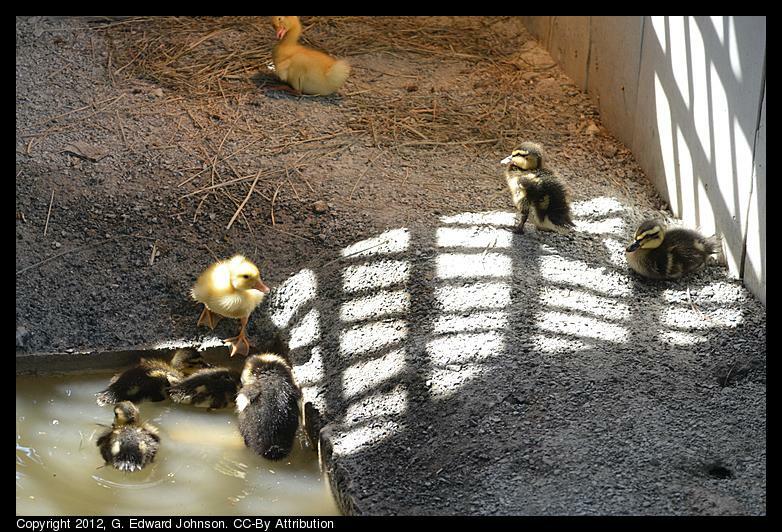 Old MacDonald's barn has some cute baby ducklings. 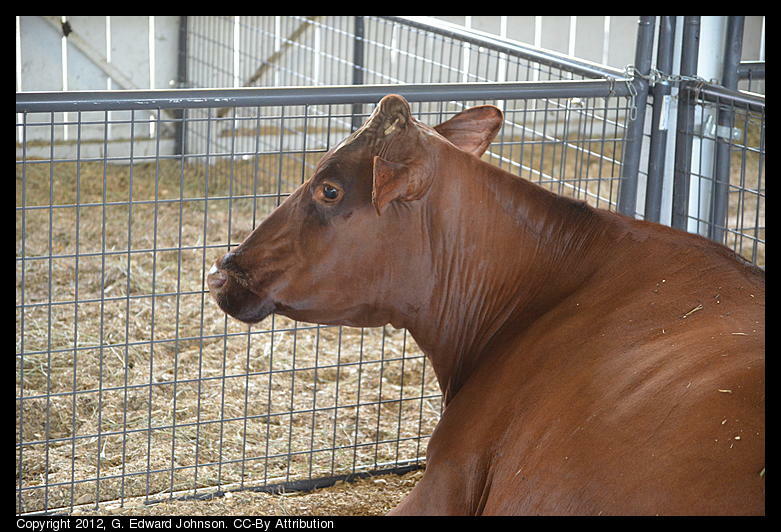 They also have a birthing center with half a dozen pregnant cows, due to give birth during the fair. 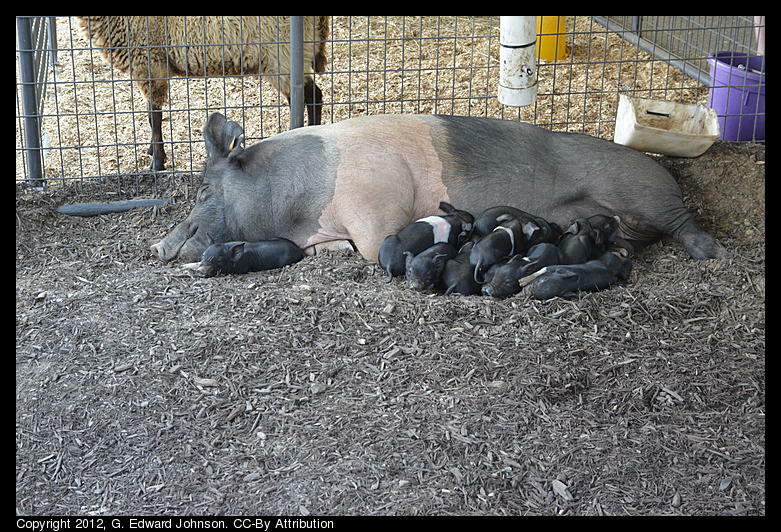 Last year I got to see a birth in person. 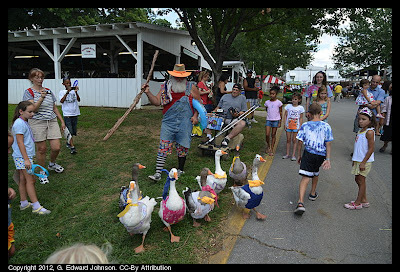 There is a flock of dressed-up geese wandering around the fair. 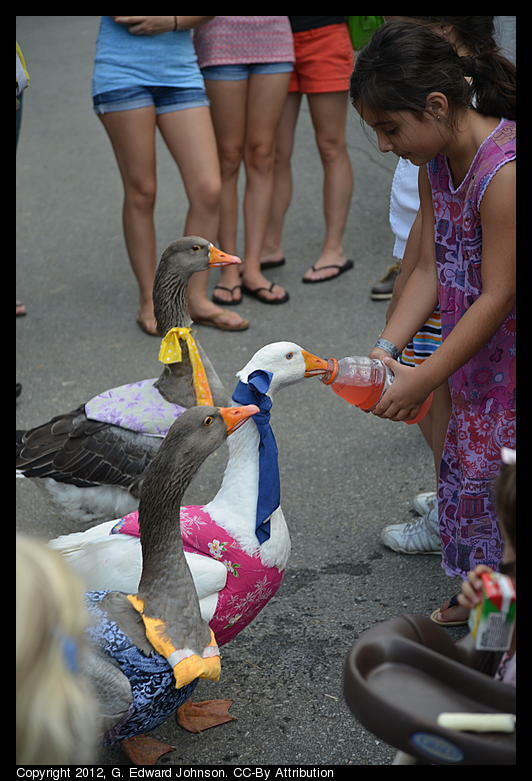 The geese drink gatorade to keep themselves hydrated. 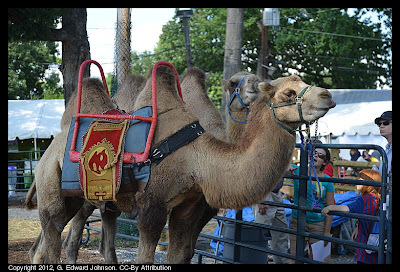 Towards the top of the fair you can take a camel ride. Not something I have ever done. 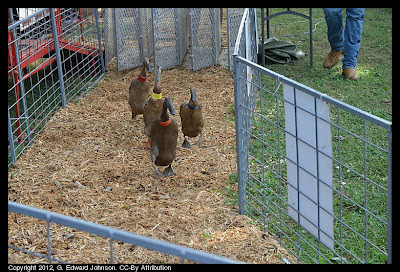 One booth near the kidzone had live birds sitting on perches. 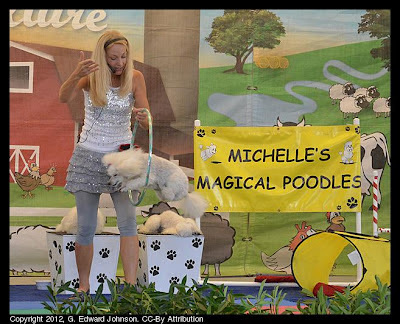 I got to see Michelle's magical poodles for a second time. 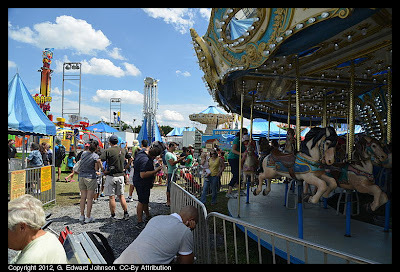 The Montgomery County fair in Gaithersburg, MD runs from August 9th to the 18th. 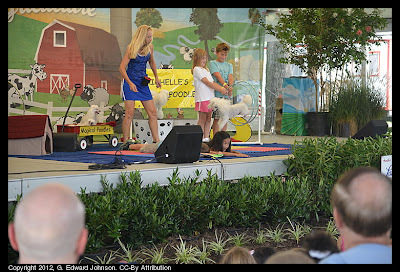 There is tons to see and do there, especially if you have kids. 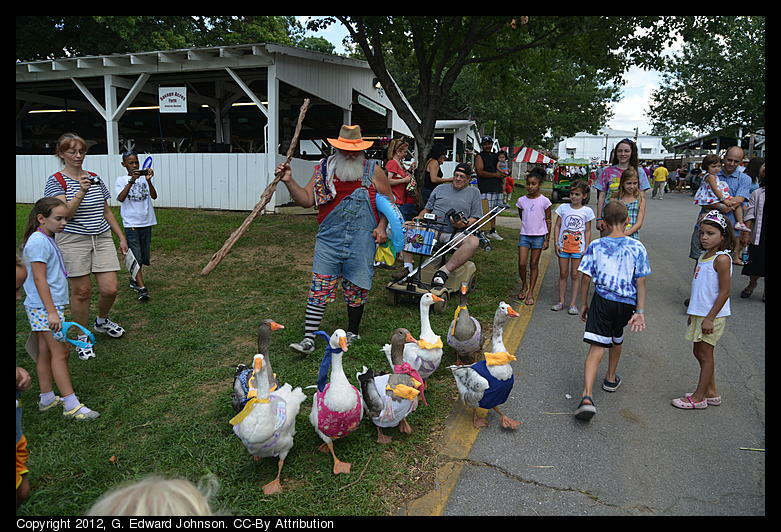 The first can't-miss event is the pig/sheep/duck/goat races. 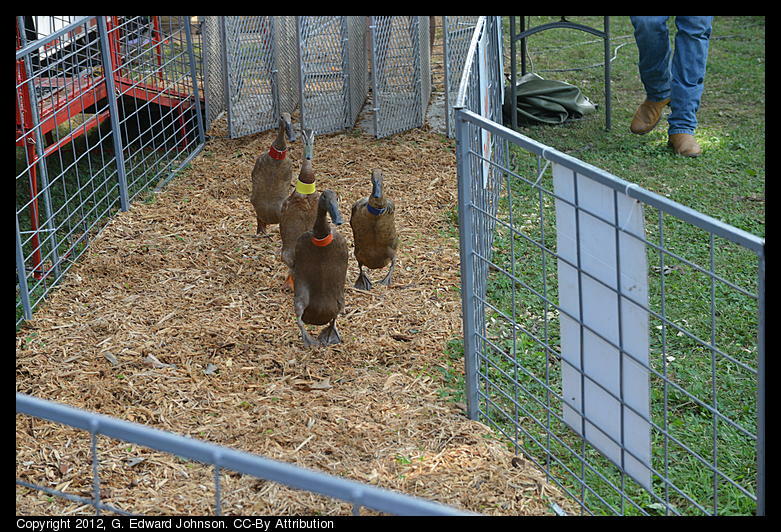 These little critters race around a track to the cheers of the crowd. Lots of people go so plan on getting there 5 minutes early if you want a good view. Old MacDonalds Barn is another great place to go, they have various animals such as a lama, an alpaca, sheep, goats, horses (including two miniature horses), baby ducklings, and piglets. 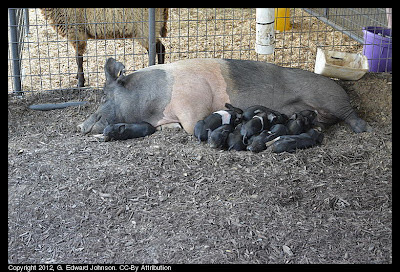 This year the piglets are really small and cute. 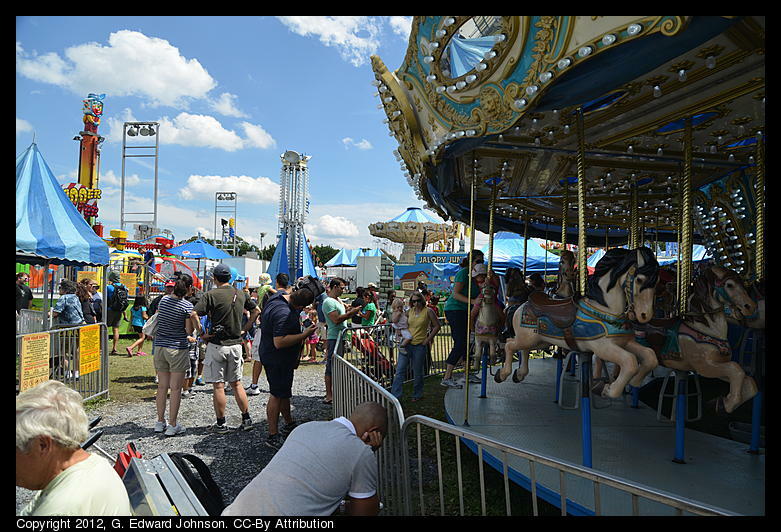 In the evenings at the grandstand there are events such as tractor pulls, demolition derbys, and monster truck shows, there are also numerous free events throughout the day. 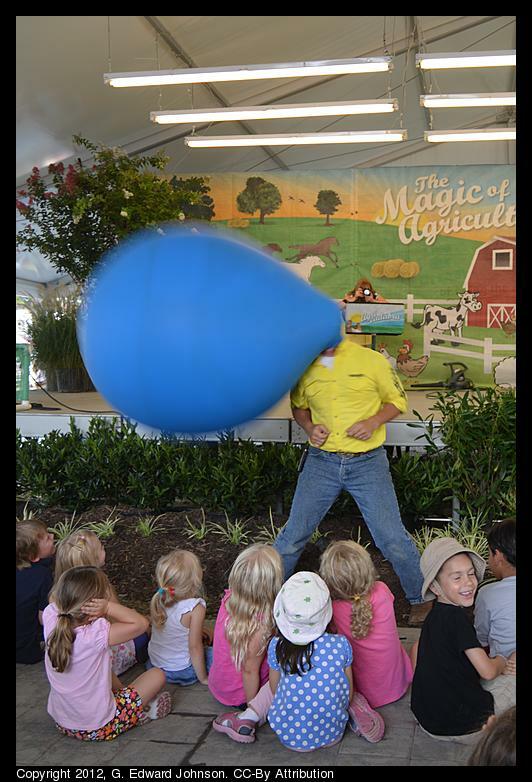 Take a look at the schedule of all events.